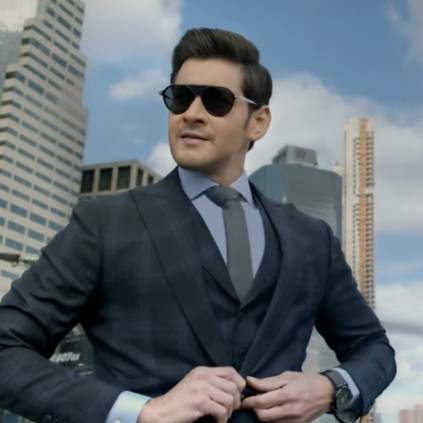 Tollywood Superstar Mahesh Babu, who was last seen in ‘Bharat Ane Nenu’ is currently shooting for his next film titled ‘Maharishi’, directed by Vamshi Paidipally. The makers have now released the official teaser of the movie. As expected, Mahesh Babu looks dashing. The teaser features Mahesh Babu as Rishi and his journey towards success. The dialogues are strong and the action sequences indeed look racy. Seems like yet another entertainer from the Superstar is on the cards. ‘Maharishi’ stars Mahesh Babu and Pooja Hegde and Allari Naresh in lead roles. The film has music by Devi Sri Prasad and cinematography by K.U.Mohanan. The movie is jointly produced by Sri Venkateswara Creations, Vyjayanthi Movies and PVP Cinema. It is scheduled to hit the screens on the 9th of May this year. People looking for online information on Allari Naresh, Maharishi, Maharishi teaser, Mahesh Babu, Pooja Hegde, Vamshi Paidipally will find this news story useful.